Gothic art represents a special chapter of the art history of Slovak culture, which is valued by both the professional and lay public as some sort of "family jewels" of our heritage. Because of the liturgical character of the majority of Gothic monuments, the Catholic Church is naturally the owner of the majority of the abundant collection. However, the SNG collection represents the largest collection of Gothic art among public institutions. Thus it is an irreplaceable source for the creation of important exhibitions, as well as restoration and research. The Collection of Gothic Art includes artefacts from the first half of the 13th century until the first third of the 16th century, and, as of January 2014, it contained 198 items. From the chronological delimitation it is already obvious that the term "Gothic" in its title is not exclusive. The early-Roman Cross (probably from 11th century) and the late-Roman Madonna from southern Germany (the first half of the 13the century) represent the oldest works, while the sculptures "on the threshold of the Renaissance" from the circle of Master Paul of Levoča and Czobor's Epitaph from Skalica are the examples of the youngest works. In general, the works of Slovak provenance, predominantly from the Spiš Region, are represented here. 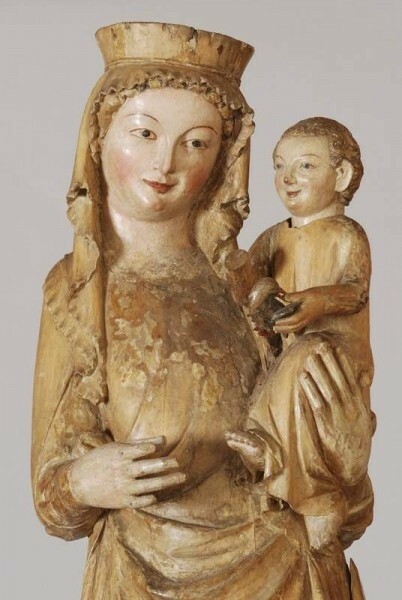 However, the SNG has acquired several significant sculptures and paintings from surrounding regions (Czech Republic, Moravia, Austria, Bavaria, Carinthia and Lesser Poland) which had a great influence on art production in Slovakia. This way we strive to create a collection context that naturally extends beyond the borders of Slovakia. The growth of the collection was determined by the possibilities of the institution shortly after its founding in 1948, as well as (and particularly) by the ideological prejudices of socialist cultural policy. Credit for the collection's development goes to Karol Vaculík (until 1970 the director, until 1989 the head of the department of old art). Moreover, Anton Glatz, the curator (until 2001), who was also the author of the SNG collection catalogue in the edition Fontes (1983) is especially deserving of acknowledgement. 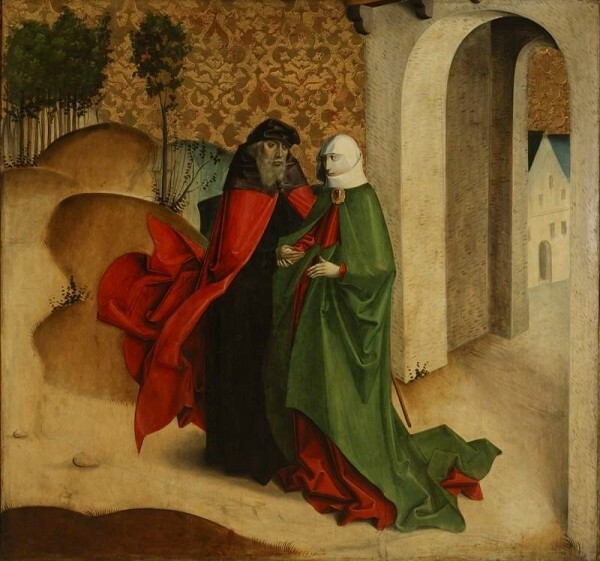 Additional acquisition and publication activities regarding the Gothic collection at the SNG continues, although Gothic work is hard to find in the Central European art market today. As part of most important acquisitions it is necessary to mention panel Christ on the Mount of Olives (acquired in 2004), Madonna Enthroned from southern Germany (2007), stone reliefs from Gothic pulpit from Kežmarok (2009) and Crucifixion from Virgin Mary Altar in Okoličné (2010). 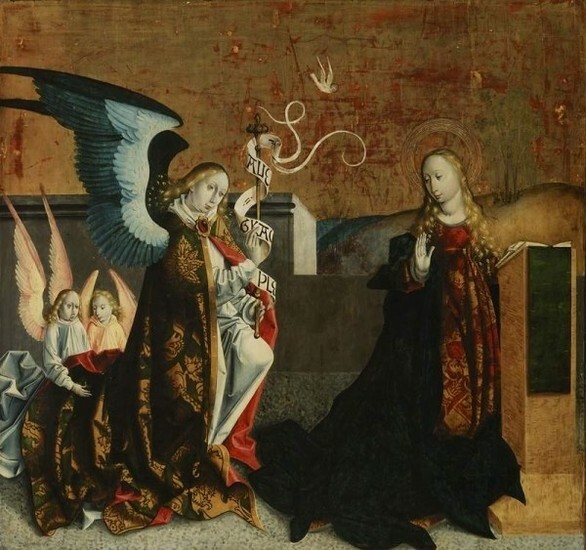 In spite of the breadth of the Collection of Gothic Art, it fails to fully cover the most important workshops of late medieval art production of Slovakia. 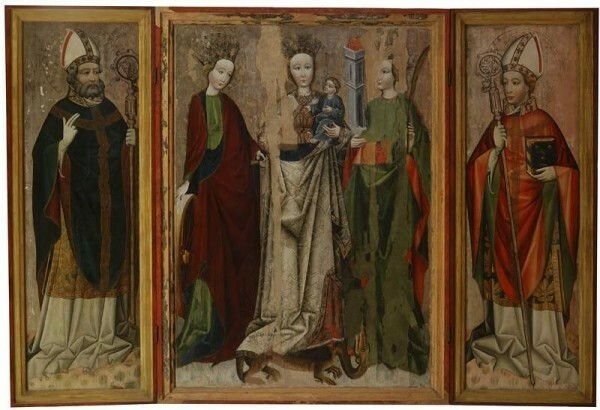 Although the recent acquisition of the panel painting by the Master from Okoličné (ca. 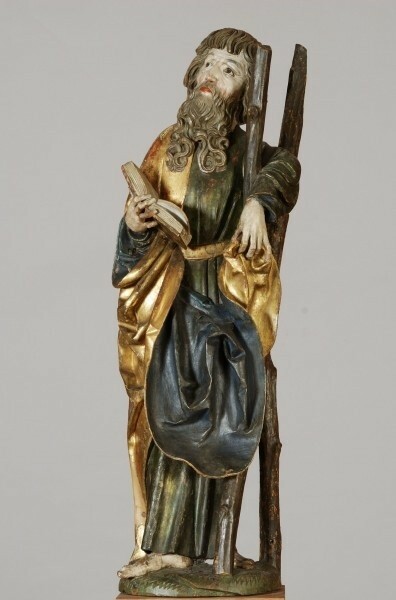 1510-1520) filled the gap in the painting collection, a truly excellent monumental sculpture from the studio of Master Paul of Levoča is still missing. There are technologically excellent copies of his work, created by Heřman and Viktor Kotrba during the restoration of the Main Altar of St. Jacob in Levoča, but they constitute only a weak compensation. It would be equally necessary to gradually extend the lapidary collection through purchases of other stone sculptures or reliefs. History of Slovak Fine Art - Gothic.